Swedish to Norwegian translation has now become a major part of daily communications and trades in the business industry of Norway. To keep things up to the mark, companies and individuals need to avail translation solutions which are reliable and accurate. As there are several translators available online, you can only trust them for translating small texts and documents. 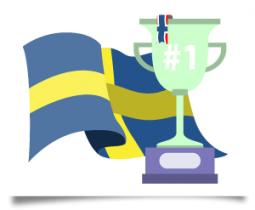 When it comes to professional Swedish to Norwegian translation services, there is surely no match in terms of performance and accuracy for NordicTrans. 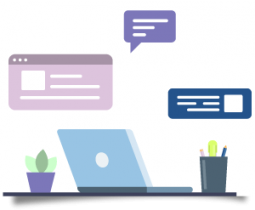 Our in-house translators are given complete access to the server-based translation glossaries and memories which contain the most useful texts, words and phrases for every language. As we work around the clock to meet every deadline, our project managers are available 24 hours to handle any of the projects related queries. Translation related to medical, legal and immigration documents requires special attention and detail for which we have a team of skilled translators, project managers and proofreaders to ensure accuracy and perfection in every project. To get a free quote for any of your translation projects, just approach to our customer care representatives via email or live-chat which are accessible 24/7. So, if you are in search of an accurate and reliable translation agency, choosing NordicTrans can deliver best satisfaction. We are a leading Nordic translation agency and our offices in the US and in the UK deliver unmatchable translation services from and into any Nordic language without using English as an intermediate language. We are available around the clock for your convenience and our project managers are always available via phone, email or live-chat to answer your questions or to give you a free quote. Having the most skilled and experienced translators in-house, we are always ready to handle any type and category of translation assignments. Ranging from business, legal, IT, medical and education, we provide authentic translation solutions related to every major category. Our team of Norwegian translators can translate just about any document, in any field or language. Covering a wide range and categories of Swedish to Norwegian translations, we serve clients from all industries and regions. No matter what country are you from, our translation services can be ordered online as we have an efficient translation management system to connect clients with our project managers and translators, which allows us to stay connected 24/7. Here at NordicTrans, the main concern of our workers is to provide quality services within deadline. 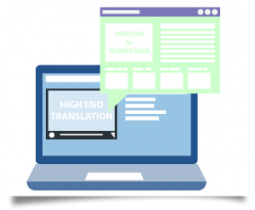 Without compromising on service and accuracy, each of the Swedish to Norwegian translation project is done by a trained second native speaker to minimize the chances of mistakes and errors. Most of the translation agencies take help from freelancers to get their translation assignments done. In this way, they are unable to ensure quality, style and accuracy for every translation. There are surely no rush rates charged for translation projects at NordicTrans. 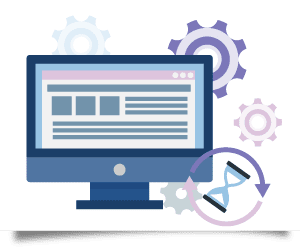 As we have a clearly defined the per word rate over our website, customers can get a free estimate from our project managers before taking our services. For bulk translation assignments, we also offer discounts for companies so that they can get the desired translation work done without any hassle. We provide reliable translation services for both individuals and companies. With thousands of satisfied clients, our translators have a vast work experience of handling complex translation assignment which has certainly enhanced their expertise. Norwegian translation services at NordicTrans cover Website translation, Document translation, Software translation, Localization and Subtitling services. NordicTrans specializes in providing Swedish to Norwegian translation services for industries such as banking and finance, market research, medical, legal, IT and software, travel and marketing. No matter how difficult the translation assignment is, our project managers work collaboratively with the team of translators to achieve accurate and reliable translation results. Before you hand over your important information and data to a translation agency, make sure they keep the documents safe and secure. When it comes to business, legal and immigration translations, agencies need to keep every document protected during the translation process. Furthermore, communicating directly with the translators can help you in getting the work done as per your requirements. Apart from converting text from one language to another, translation plays a major role in accomplishing everyday activities. Whether you want to promote your business to new market places or want to proceed with the immigration case, no target can be achieved without a reliable translation agency. NordicTrans understands the value and importance of accuracy in translations for which each of our translation projects undergoes strict checking and proofreading. A small mistake or error can cause problems in business and corporate activities as companies need to communicate with their clients clearly. Furthermore, business agencies and brands can only grow in global marketplaces if they are able to present their services effectively. To attract the specific target audience, translations must be clear, understandable and convincing, so that the readers are convinced at once. This is only possible if the translation is performed by a subject matter expert who has the best translation abilities and skills. We offer a wide array of Norwegian translation solutions to meet our client expectations which are only done by the most qualified linguists of our company. Is translation from Swedish to Norwegian expensive? The Swedish language and the Norwegian language are quite similar to each other because of the singularity in their cultures and traditions. They are both part of the Nordic countries and are spoken widely for communication as their first language, in the Northern part of Europe. These languages have different dialects relating to each other. They have words, vocabulary, grammar and accents that may be hard to differ if handed out to someone who hasn’t lived there. This is the reason that you should seek out a translation company to do this job for you. But, why should you choose us for this job? We are the leading translation company in the Northern part of Europe, having 19 years of experience with the languages of the Nordic countries. We employ native translators who are actually living in those countries and work with the best of their professional skills to give you an accurate translation of your original document with guaranteed precision. Swedish to Norwegian translation services are rare to find and may seem expensive but here at NordicTrans, we offer it at low rates, affordable to the common man and with no hidden charges or rush rates with timely delivery through a secure and professional process. Swedish to Norwegian translation services offered by NordicTrans have always been the first choice amongst companies and business industries. As we have hired subject matter experts and certified translators to handle every project, every order is delivered within the deadline. Without compromising on quality, style and perfection, translations are performed by implementing the best technical terms and jargons. So, if you are planning to get reliable and accurate Swedish to Norwegian translation services, NordicTrans surely offers amazing services at competitive rates.